Can the Arab-Israeli conflict be resolved through a few good meals? Probably not, but reveling in the similarities of each other’s cuisine is certainly a delicious starting point. 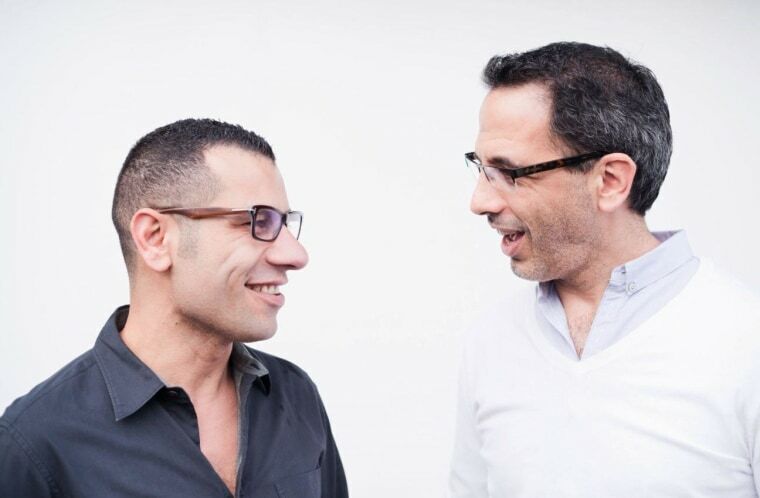 Yotam Ottolenghi and Sami Tamimi, authors of the new cookbook, “Jerusalem,” explain that whether it’s called an “Israeli salad” or an “Arab salad,” the simple combination of chopped tomato and cucumber that appears on tables all over the city shows that Jerusalemites share tastes that cross religious and sectarian boundaries. Ottolenghi and Tamimi grew up around the same time on separate sides of the city, Ottolenghi on the Jewish west side, and Tamimi in Muslim east Jerusalem. Decades later, and thousands of miles away, they met in a London deli where Tamimi ran the kitchen, and Ottolenghi eventually won a job as a pastry chef. When Ottolenghi decided to start his own line of eateries about ten years ago, he asked Tamimi to join his team. Of course, neither the city’s cuisine nor inhabitants are unified. In the book’s introduction, Tamimi and Ottolenghi write about the “immense tapestry of cuisines” enjoyed by the city’s “intricate, convoluted mosaic of peoples.” Rather than trying to provide a definitive sourcebook on Jerusalem cuisine, the writers wisely focus on a few favorites, from traditional recipes for homey street food (falafel and hummus), to original creations inspired by local flavors (roasted sweet potatoes and fresh figs). The recipes come spiced with intriguing personal anecdotes from the authors’ childhoods and more recent trips home, which paint a portrait of the city through food. For years, Ottolenghi wrote the “New Vegetarian” column for the Guardian, although now his column incorporates meat as well. True to form, vegetables star in many of the cookbook’s dishes, from the tasty roasted cauliflower salad with hazelnuts to a pureed yogurt and beet dip to eggplants stuffed with lamb, all of which flew off my dinner table when I cooked them. Carnivores shouldn’t worry, though — the book devotes plenty of space to fish, chicken, beef, and lamb dishes. “Jerusalem” makes clear the similarity between many Jewish and Muslim dishes. And yet, in such a contentious city, even small differences take on larger importance. There’s the great hummus debate over what culture invented the chickpea puree and who makes the best in the city now. And there’s the baba ghanoush controversy over whether the dish properly contains tahini as well as roasted eggplant. Still, as they point out, seasoned chickpeas make a delicious snack, no matter whether they’re called balilah or arbes. And sharing something so tasty might just pave the way for peace someday (it certainly worked magic in the “Palestinian Chicken” episode of “Curb Your Enthusiasm”). Reprinted with permission from "Jerusalem: A Cookbook" by Yotam Ottolenghi and Sami Tamimi, copyright © 2012. Published by Ten Speed Press, a division of Random House, Inc. Put the Jerusalem artichokes in a medium saucepan, cover with plenty of water, and add half the lemon juice. Bring to a boil, lower the heat, and simmer for 10 to 20 minutes, until tender but not soft. Drain and leave to cool. Place the Jerusalem artichokes and all the remaining ingredients, excluding the remaining lemon juice and half of the tarragon, in a large mixing bowl and use your hands to mix everything together well. Cover and leave to marinate in the fridge overnight, or for at least 2 hours. Preheat the oven to 475°F. Arrange the chicken pieces, skin side up, in the center of a roasting pan and spread the remaining ingredients around the chicken. Roast for 30 minutes. Cover the pan with aluminum foil and cook for a further 15 minutes. At this point, the chicken should be completely cooked. Remove from the oven and add the reserved tarragon and lemon juice. Stir well, taste, and add more salt if needed. Serve at once. Lizzie Stark lives in New Jersey and is the author of "Leaving Mundania."